Jackets There are 35 products. 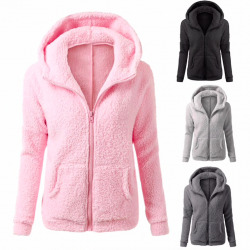 Women's soft fleece hooded jacket. Material: polyester. With zipper, pockets. Please select a color and correct size. Women's short jacket. Material: cotton blend. With zipper, pockets. Please select a type and size. Women's slim vest. Material: polyester, cotton. Closure type: zipper. With pockets. Please select a color and correct size. Women's autumn - winter vest. Material: PU leather, faux fur. One size. 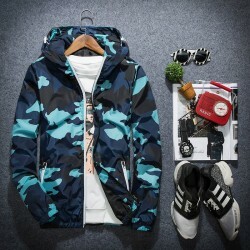 Quick dry waterproof jacket unisex. Material: polyester. With zippers, pockets, hood. Please select a color and correct size. Women's slim hooded jacket. 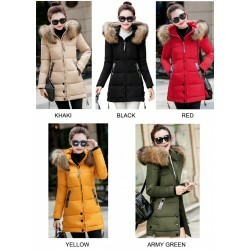 Material: PU Closure type: zipper. Please select a color and correct size. 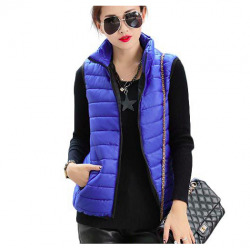 Women's hodded vest body warmer. Material: cotton, polyester. Please select a color and correct size. 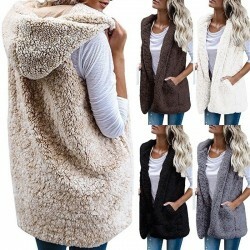 Women's jacket hooded vest. Material: cotton. With buttons, pockets. Please select a color and correct size. 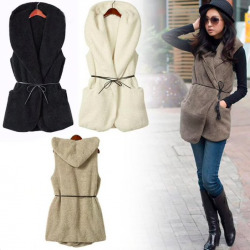 Women's winter hooded vest. Material: faux fur, cashmere. With belt. Please select a type. Women's waterproof hooded jacket. Material: polyester, cotton. With zippers, pockets. Please select a color and correct size. FREE WORLDWIDE SHIPPINGNOTE! Sizes are Asian, please use the chart to choose the correct size. European and American customers are advised to take 2-3 sizes bigger. 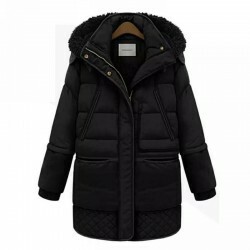 Women's warm breathable jacket. Material: polyester, cotton. With zippers, water resistant. Please select a color and correct size. FREE WORLDWIDE SHIPPINGNOTE! Sizes are Asian, please use the chart to choose the correct size. European and American customers are advised to take 2-3 sizes bigger. 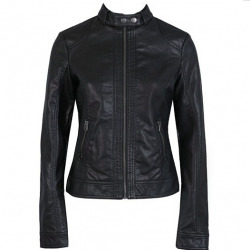 Women's, fashion light jacket. Material: spandex, polyester. Decoration: lace, pockets. Closure type: zipper. Please select a color and correct size.NOTE! Sizes are Asian, please use the chart to choose the correct size. European and American customers are advised to take 2-3 sizes bigger. 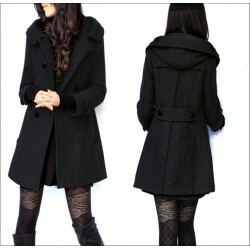 Women's slim, hooded jacket coat Closure type: double breasted. Decoration: buttons, pockets. Material: wool & blends. Please select a color and correct size. FREE WORLDWIDE SHIPPINGNote: sizes are Asian, please order 1 - 2 sizes bigger for European & American. 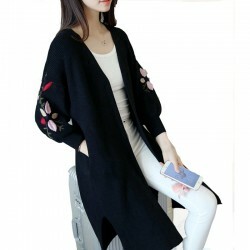 Women's, knitted sweater, cardigan. Material: acetate, wool. Decoration: embroidery. Sleeve: lantern type. Collar: V-Neck Please select a color and correct size. FREE WORLDWIDE SHIPPINGNote: sizes are Asian, please order 1 - 2 sizes bigger for European & American. 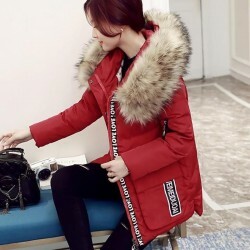 Women's, fashion, long winter coat, jacket. Closure type: single-breasted, clasps. Material: polyester, cotton, wool. Decoration: pockets, sashes. Collar: turn-down. Please select a color and correct size. FREE WORLDWIDE SHIPPING Note: sizes are Asian, please order 1 - 2 sizes bigger for European & American. 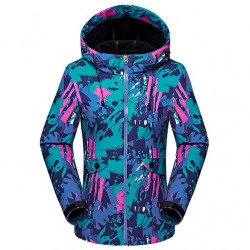 Women's, hooded warm jacket. Closure type: zipper. Material: polyester. Filling: cotton. Type: slim. Please select a color and correct size. FREE WORLDWIDE SHIPPINGNOTE! Sizes are Asian, please use the chart to choose the correct size. European and American customers are advised to take 2-3 sizes bigger. 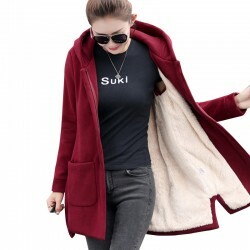 Women's, winter coat, jacket. Closure type: zipper. Material: cotton. Collar: bow. Hooded: no. Please select a correct size.Note: sizes are Asian, please order 1 - 2 sizes bigger for European & American. 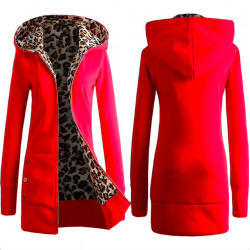 Fashion, slim women's coat. Material: polyester, cotton. Closure type: open stitch. Please select a color and correct size. FREE WORLDWIDE SHIPPING Note: sizes are Asian, please order 1 - 2 sizes bigger for European & American.